'I don't know where I would have ended up without HVAF" How HVAF saved homeless veteran | HVAF of Indiana, Inc. In 1990, 17-year-old Antonio Johnson enlisted in the United States Navy soon after he graduated from high school. During his time in the Navy, he traveled around the world twice, served on two aircraft carriers, and supervised his fellow shipmates. After he got out of the military in 1996, he dealt with multiple family issues for years- where he ended up finding himself homeless. In 2017, he came to Wheeler Mission, where he found out about HVAF. One day, he called and spoke with case manager Kalisha. Another HVAF case manager, Raven, drove down to Wheeler and had Antonio fill out paperwork– which led him to being housed in our Udell House that same day! 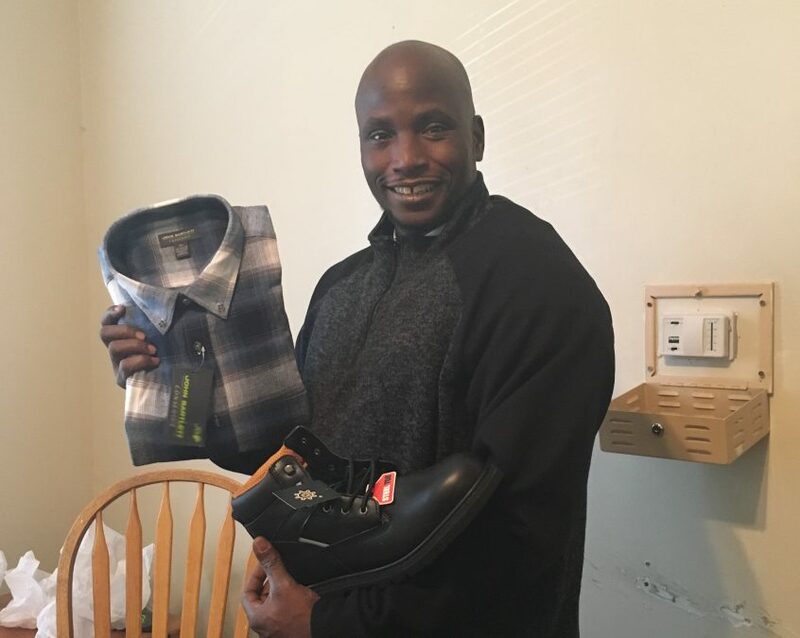 Since then, HVAF has been able to help Antonio with getting a suit for interviews, as well as provide him with essential clothing and hygiene items. He also enjoys the Christmas parties, Thanksgiving dinners, and receiving thank you cards. Although his life has had its ups and downs, Antonio said having HVAF as a support system has helped him a lot. He also has a message to every veteran out there to never give up.